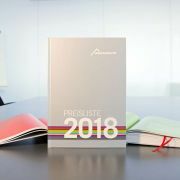 Elements.at integrates RealObjects PDFreactor into product information management solution Pimcore PIM, facilitating the automated production of a 680+ page product catalog for Web and Print at Walter Bösch GmbH & Co KG. Pimcore (www.pimcore.org) is an open-source framework combining web content management, asset management and product information management (PIM) functionality into a versatile solution. The PIM system provides extended support for Cross-Media-Publishing and Web-to-Print. It supports master data management and either provides highly structured master data including all corresponding multimedia assets to desktop publishing products or supports the automatic generation of print-ready PDFs. Initial situation. 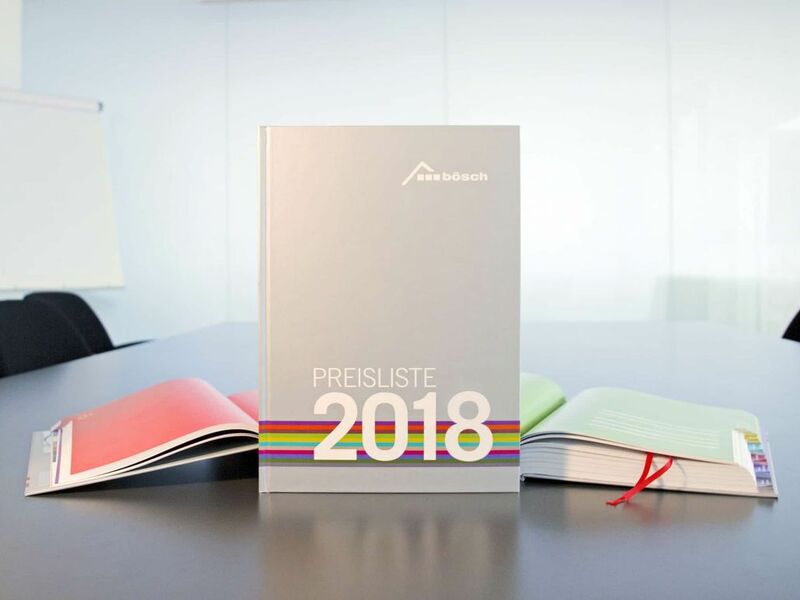 Several Bösch employees used to work months on the creation of the catalog, as product data had to be collected, verified and updated. An integral filling system for the thousands of product pictures did not exist and the overall process depended on normal desktop publishing programs. Solution. The Pimcore based PIM system is the central data hub for all kind of product information (text, technical data, pictures, videos, links etc.) and delivers up-to-date data to various output channels. Updates of the product information have to be done only in the PIM system. Realization. The Bösch ERP system provides the basic product data and pricing information, which is automatically captured by the Pimcore PIM system using an ERP-PIM interface. The catalog editor enriches the product data in the Pimcore PIM system through additional information such as, text, pictures, links etc. The Bösch B2B shop as well as the catalog production uses this data. The catalog is directly created in the Pimcore PIM system using a plugin. The catalog editor creates single chapters and adds content pages, which are directly filled with data from the PIM system. The Pimcore PIM plugin allows the PDF creation at any time. Additional settings, e.g. the integration of printer marks, can be done optionally. Bösch uses a printer‐friendly PDF (32 MB) for downloads and electronic distribution. Within the PDF each product is directly linked to the Bösch B2B shop. A print compliant PDF (about 170 MB) including printer marks for trim, bleed, registration and color bars went to a print shop for the production of hardcovers. Elements.at partners with RealObjects, enabling Pimcore PIM users to utilize best-of-breed Database Publishing, Cross Media Publishing and Web-to-Print functionality based on RealObjects PDFreactor. “We searched quite a while for a reliable, server-based HTML to PDF printing component, which could handle the complex layout of a massive product catalog as part of a Pimcore PIM Web-to-Print implementation. We liked PDFreactor right away. Because of the CSS complexity involved, we asked RealObjects for their support, which is really outstanding. We rarely have seen a company in which support service is practiced in such a way. Short turnaround times, professionalism, expertise and their commitment are remarkable. With the support of RealObjects we made the Bösch catalog project a huge success. So, it was an easy decision for us to make PDFreactor the first choice printing component for Pimcore PIM. We are looking forward to strengthen the cooperation with RealObjects and are sure that PDFreactor adds tremendous value to Pimcore PIM users.” said Dietmar Rietsch, Executive Board, Elements.at. “The combination of the powerful, open-source Pimcore PIM system with a commercial PDFreactor license is a revolution in creating print catalogs. Correction cycles, time and costs can be reduced to a minimum while new markets and media can be conquered. We see a clear demand for such a cost-efficient solution, as most small and medium-sized industrial manufacturers certainly have need for comprehensive product catalogs for electronic distribution, Web and Print. The combination of Pimcore PIM and PDFreactor in fact has the potential to compete with well-known, expensive commercial database publishing solutions from leading vendors.” said Michael Jung, RealObjects Managing Director Sales & Business Development. Elements is an elite digital agency focused on creating superior multi-channel digital marketing experiences that bring brands and customers closer together. Headquartered in Salzburg, Austria, Elements consists of a team of 50 geeks, marketers and designers all working together to build exceptional digital solutions for ambitious international clients. Elements is also the developer of Pimcore, the first open-source multi-channel experience and engagement management platform. Used by over 60,000 websites and apps worldwide, Pimcore is the flexible and integrated platform you’ve been looking for to manage all of your digital content for all of your marketing channels and customer touch-points, for any device and for any application. Elements is the can-do agency, and Pimcore is the can-do architecture that will help you meet your toughest marketing challenges. RealObjects and Neota Logic Inc. announce... RealObjects PDFreactor 7 released!